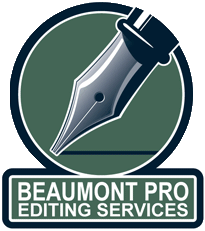 Welcome to the website of Beaumont Pro Editorial Services, here to help if you need to outsource any editing functions, be it for traditional print outlets, online platforms or just an individual, personal document. I can do simple proofreading/line-editing of any type of English text or more thorough copy-editing – whichever suits your needs best. I’m experienced in editing material written by non-native speakers and making it read as if it was written by someone with English as a first language. It’s no problem for me to work over weekends, late at night, and during school holidays etc., so I have a lot of flexibility that allows me to fit in with your needs. Moreover, my highly competitive rates can be negotiated on an hourly, daily or per project basis.